The dentists and staff at Meadows Dental Group are dedicated to providing an exceptional patient experience based on comfort, communication and an uncompromising commitment to excellence. 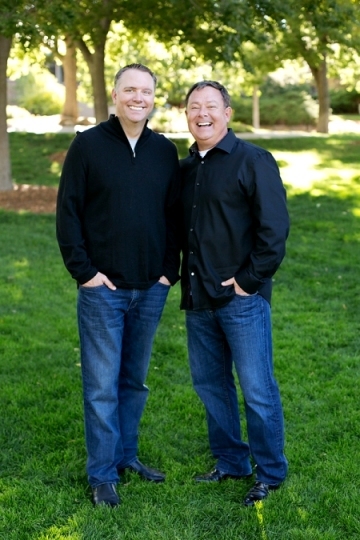 As Lone Tree’s original dental practice, we have built enduring ties to our community and have established a reputation for consistently delivering superior results and unsurpassed patient care. To learn for yourself why so many people choose Meadows Dental Group as their dental home, please schedule your appointment today by calling 303-790-2323 or completing the form on this page. We welcome patients from Lone Tree, Centennial, Highlands Ranch and neighboring communities throughout Colorado. At Meadows Dental Group, we value long-term relationships with our patients and their families. From toddlers and seniors to busy professionals, we proudly offer a comprehensive suite of dental services to help every member of your family maintain optimal oral health and achieve a beautiful, radiant smile. We understand that many patients avoid the dentist and the crucial care they need due to anxiety, fear or embarrassment. This is why our practice focuses on providing a judgment-free environment, designed to make you feel accepted, comfortable and relaxed. Our compassionate staff and sedation dentistry techniques can help reduce your anxiety so you can get the care you need to have a strong, healthy smile. The state of every patient’s dental condition is entirely unique. Whether you suffer from the discomfort of a toothache, are embarrassed by an aspect of your smile’s appearance or simply want to maintain healthy teeth and gums, you need a personalized approach to dental care that is tailored to your individual needs and goals. When you visit Meadows Dental Group, you will receive the comprehensive, customized treatment and attention you deserve. Comfort: Patient comfort is a cornerstone of our dental philosophy. From the warm welcome you receive when you first enter our office to the gentle and caring treatment you are given in the dentist’s chair, we strive to make every experience at Meadows Dental Group a pleasant and comfortable one. In addition to having TVs in every room, we offer a variety of sedation options and advanced techniques to ensure a positive experience. Patient-focused care: While we are happy to help with any dental need, we pride ourselves on building enriching, lifelong relationships. This is as true with our patients as it is with our staff. Our team is a close-knit, professional family that has remained intact for many years. 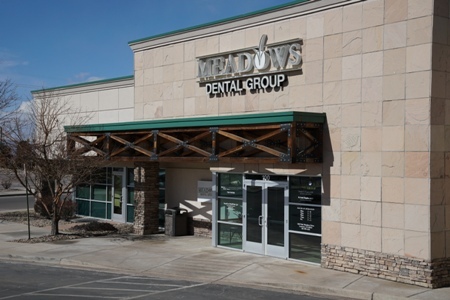 When you visit Meadows Dental Group, you won’t meet new providers and staff members every time. We know our patients by name and enjoy nurturing trusting relationships that endure for years. In order to make informed decisions about your dental care, it’s essential to clearly understand your situation and all of your treatment options. This is why your initial consultation is so important. In many cases, if you are considering treatment on a specific tooth or problem area, we offer free limited consultations to assess your candidacy for a particular procedure. For more complex conditions that involve addressing multiple areas of the mouth, comprehensive analysis and numerous X-rays, standard fees will apply. If you are looking for a gentle, caring dentist in the Lone Tree, Centennial or Highlands Ranch areas, please contact Meadows Dental Group today online or at 303-790-2323 to schedule an appointment. We have patients who travel from across the state to visit us for premium care and unsurpassed comfort; no matter where you come from, we look forward to meeting you!